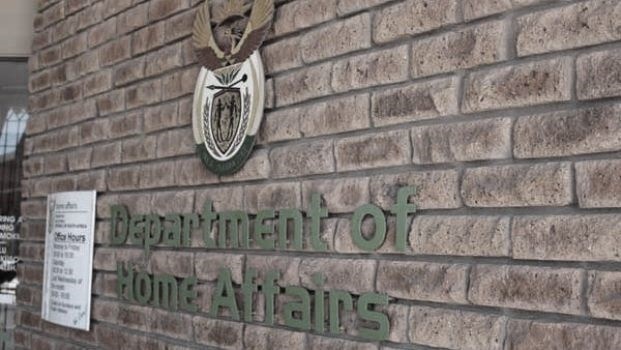 Two long-serving Home Affairs administrative clerks have been charged in connection with allegedly irregular Late Registration of Birth applications for foreign children. Sabani Clementine Mtshali (41) and Xoliswa Mfoboza (52), who are both based at the Home Affairs branch in Richmond, were nabbed after a raid by the Hawks and members of the Pietermaritzburg Public Order Policing unit on Friday. The pair made separate appearances at the Durban Specialised Commercial Crimes court on Monday, where they were each granted bail of R2 000. Neither gave any indication of how they intend to plead to the allegations. The state did not oppose bail for either of them. Both women were supported by a number of family members and friends in the gallery. The state is alleging that both women had contravened Home Affairs’ internal processes and each had registered a (different) child who is a foreign national in June 2017. The charge sheet alleges Mtshali and Mfoboza had not followed proper procedures when registering the children concerned and did not “receive the necessary authorisation from their supervisor to capture the Late Registration of Birth”. In terms of standard procedures, late registration of births are recorded in a register and are kept in a file stored in the manager’s office at the given Home Affairs branch until they are granted. Applications are evaluated by a screening committee and documents are prepared. In cases where a foreign national is being registered, as in this case, both the parents are supposed to be interviewed by the screening committee, and parents have to submit DNA tests. “The transactions … were not brought before the committee and adjudicated upon, they were captured outside the dates of the committee sitting,” the charge sheet states. The child who Mtshali allegedly registered was given a user identity number (ID YHK205) at the Richmond office which is used to register the birth on the system. Her defence attorney told the court Mtshali is an unmarried mother of two, and has been employed by Home Affairs at Richmond for about 10 years. Mfobaza is alleged to have similarly contravened internal processes when registering a foreign national child, who was given user identity number YHK802 at the Home Affairs office in Kokstad. Mfobaza is also employed at Home Affairs in Richmond, however. No personal information about her was placed on record. Magistrate Dawn Soomaroo adjourned the matter to next month for further investigations. Hawks spokesperson Captain Simphiwe Mhlongo issued a press statement on Monday ahead of the court appearance by the two women who he said were arrested by the Hawks’ Durban Serious Commercial Crime Unit, Home Affairs Counter Corruption and Security together with the Pietermaritzburg POPU on Friday. “It is alleged the two suspects aged 41 and 50 were irregularly issuing late registration birth certificates and other sensitive documents from their Richmond office. The integrated team swooped on the two at their offices and then went to their homes, where a number of South African Social Security Agency (Sassa) grant cards, a list of identity document numbers, identity document books and Home Affairs documents were found,” he said. “Other role players are expected to be drawn as investigations continue ...” he added.